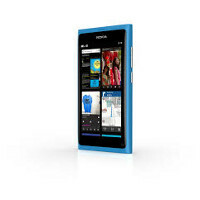 Nokia N9 is distinguished way to control - only by touch. The smartphone does not have a keyboard or buttons on the front of the device. Its glass screen with rounded edges for smooth navigating by touch and quick transition to the various functions of the device thanks to sliding your finger across the screen (ang. Swipe). Everything what you need, located on three screens, there is no need to search the menu, as in traditional smarftonach. In order to smoothly navigate the contents of your smartphone and go for example to the most recently used applications with just one swipe across the screen. The new interface uses the full potential of AMOLED display with a diagonal of 3.9 inches. Remember that entered PIN on the website must be exactly the same as PIN entered in the setup program on your Nokia N9.